Monday the 26th of November 2007 was a historic day in the life of our Archdiocese. 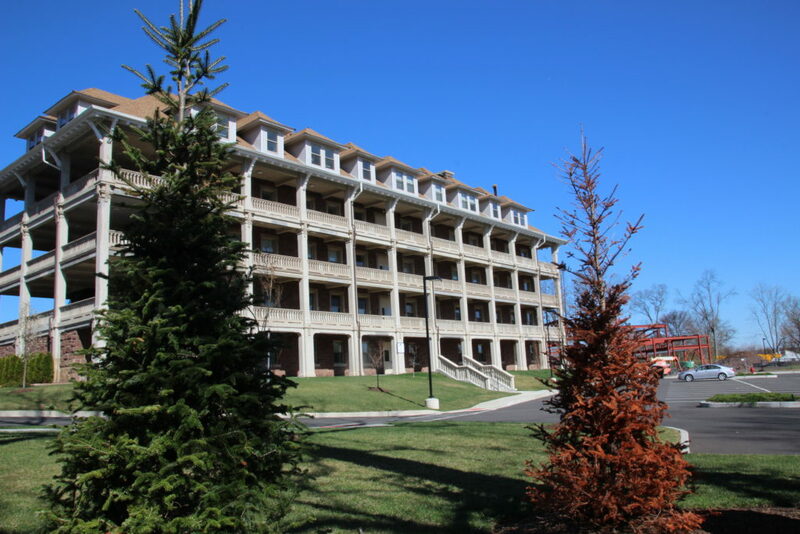 At 3pm of that day His Eminence received the deed of the new Mor Aphrem Center on Midland Street in Paramus, New Jersey from the former owners of the property, the Sister of Charity of St. Elizabeth at their headquarters in Morristown, NJ. His Eminence was accompanied by Very Rev. Fr. John Khoury of our Church of the Virgin Mary in Paramus, Mr. Elias Sarkar, the president of Board of St. Mark’s Cathedral and several member of the Archdiocesan Council and members of the Archdiocesan Legal Team, Jack Darakjy, Neil Aydin and Benjamin Isik. On the evening of the same day, over two hundred members of our church gathered at the new center to celebrate this happy occasion. The celebration started with the evening prayers, which were conducted by members of the clergy, deacons and parishioners at the chapel located inside the main building. Following the evening prayers dinner and drinks were served in the social hall on the first floor of the building. This unforgettable event brought tears of joy to the eyes of many people. We are truly blessed and fortunate in that we can fulfill our dreams of providing our faithful with the facilities and programs which they rightfully deserve. Our New Monastery, in Paramus, New Jersey, will serve as the Center and hub which will draw everyone to worship, collaborate and plan together so we can all collectively enjoy the fruits of the Mor Aphrem Center. OUR ARCHDIOCESE, since its inception, has never taken on a challenge of this financial magnitude. The Mor Aphrem Center is very fitting in nature and one of a kind in that it was originally built and used for religious monastic purposes. 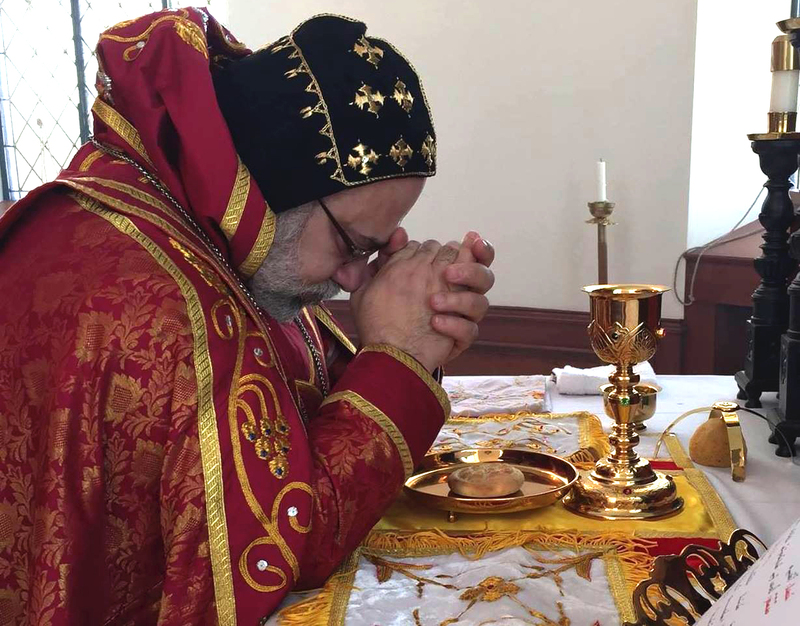 Now, in its new chapter, it will continue to serve the same purpose and much more for our Holy Syriac Orthodox Church. This is truly our way of continuing to Glorify His Name in a tradition in which we have been entrusted to preserve. THIS GENERATION HAS LAID THE FOUNDATION to what only future generations will witness as this Center gears into full operation, working and producing that which is necessary and right, for the advancement or our wonderful and Blessed Syriac Orthodox Church and Community. NOW IS THE TIME for our Church. Make a generous donation. Rest assured, it will be most appreciated and it will definitely go a long way. May the Almighty shower you with His Blessings and protect you and all your loved ones. Amen. Your generosity will greatly help in accomplishing these plans. It will also provide you the opportunity to be a stakeholder and truly participate in the building of a bright future for our church and community. May God shower His abundant blessings upon you and grant peace and mercy to the souls of your departed loved ones.